Growing during a crypto market contraction is a noteworthy feat. At Horizen, our approach is to conservatively build a strong foundation that will allow us to leapfrog and scale. We are focusing on key differentiating features and establishing business processes that will enable us to continue growing as an ecosystem. Our team accomplished so much in 3Q 2018, including releasing a major software upgrade ZEN 2.0.15 that includes a change to the Bitcoin consensus imposing a penalty to offline miners. The Bitcoin Consensus Enhancement can be adopted in any proof-of-work blockchain that uses the Bitcoin protocol. Horizen is proud to contribute to the open source blockchain community by making the Bitcoin Protocol Enhancement available to the world! We are proud of our team, especially Alberto Garoffolo (Director of Engineering), Pier Stabilini (Sr. Software Engineer), and Rob Viglione (Co-Founder and Scientist) for devising an innovative mitigation to a decade-long risk. As some may remember, Horizen (formerly ZenCash) was hit by a 51% attack 2Q 2018 shortly after an external blog listed costs associated with conducting such attacks. After this list was published, our team began game-planning and preparing for a possible attack. Our prep work paid off as it turns out, we executed our mitigation plan and the attack was quickly contained. While the experience was unfortunate, it helped our engineering team creatively tackle an industry-wide issue. If you haven’t updated to ZEN 2.0.15, please do so prior to 10/10/18. Our awesome Business Development (BD) team managed to integrate Horizen into 15 exchanges and partners. Marketing conducted stakeholder and competitor research resulting in a flawless “brand expansion” to Horizen and launched the official Horizen Store offering customized designs created by our own design team, while our Support team provided you, our customers, excellent assistance. All of that while our Community Managers promoted Horizen in 32 cities around the world! Want to see more? 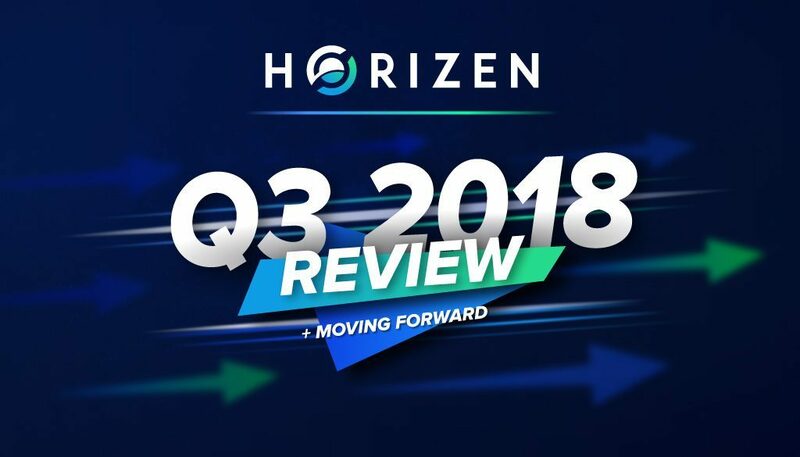 Expand the list below to a full list of Horizen’s 3Q accomplishments! Vano Narimanidze joined our Business Development team as a Community Manager in Georgia! Jordan Bass, CPA and law student will bridge our Finance and Legal teams! Fenwick and West law firm to supplement our legal team! Launched new Horizen Reddit page – Subscribe now! Don’t see your country or city on the map/list? Help bring Zen into your city and organize a local event! Contact us and find out how we can work together to make this happen!